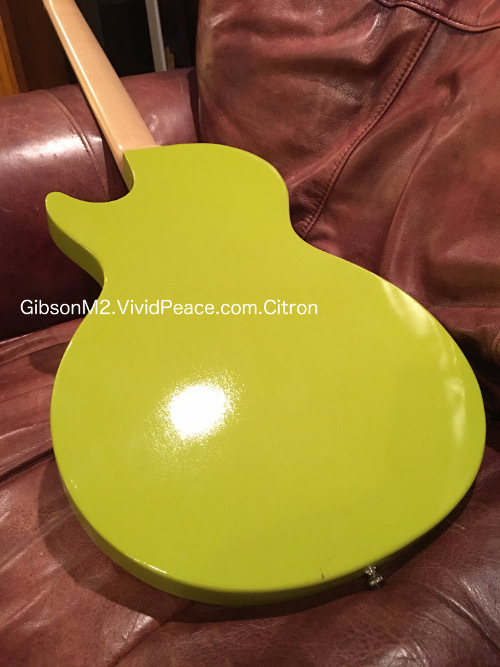 The Awesome Green Machine Gibson M2 Citron Review: Mod One! 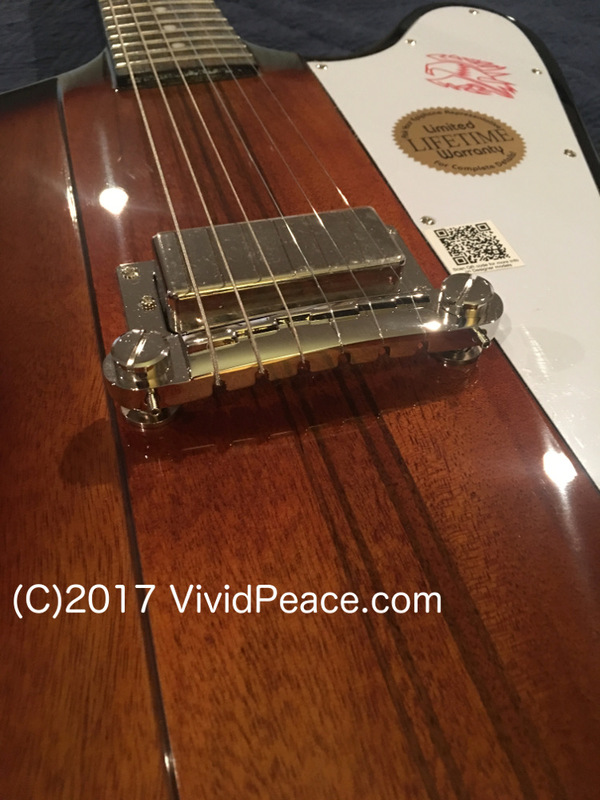 Part One: The Awesome Amazon Exclusive Gibson M2 (Les Paul Shape) MOD ONE (Not Rogue One 🙂 ) Review! Looking for the pictures and don’t want to read Jim’s wanderings: scroll down. I’ve put them in one convenient section! Update: Gibson now has a product page for the M2 here! I’ve really enjoyed playing my new Gibson M2. it’s a nice evolution to the Melody Maker type of guitars. It’s really quite nice, and is affordable. 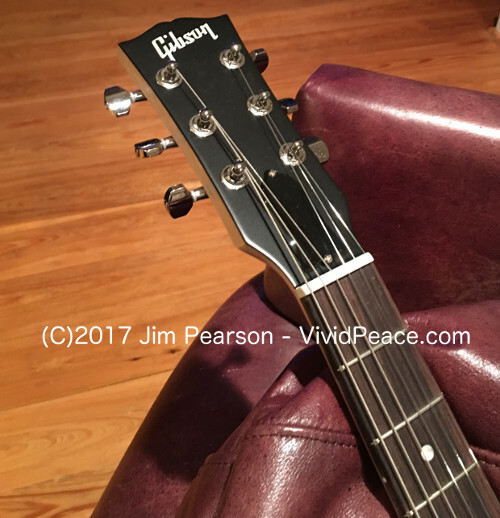 I wrote a review of it here My first-look Gibson M2 review. One of the reasons I bought the M2 is because it has an easy, almost Fender-like means of changing out your sound. 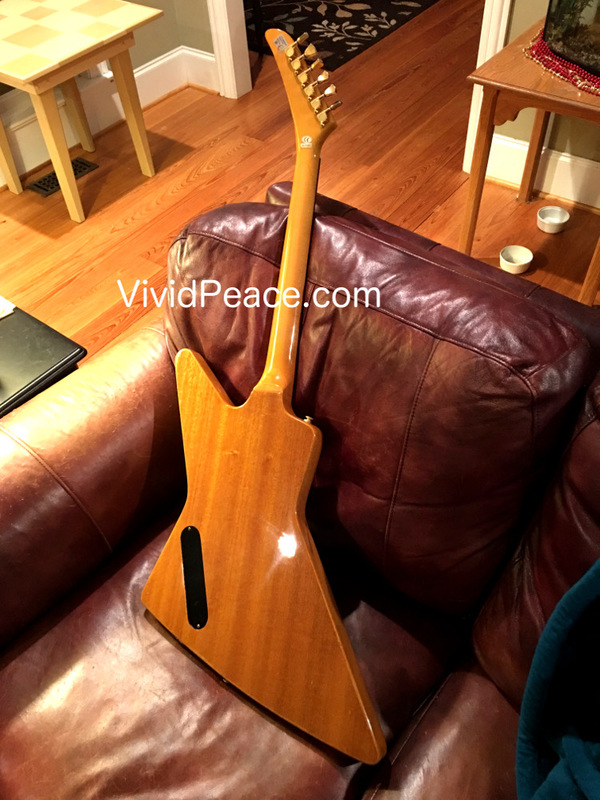 The neck is fixed, which is actually nice for sustain, but otherwise, it works like most Fenders: you can change the pickups and electronics very easily – even without re-stringing the guitar. zZounds does not have the Gibson M2. 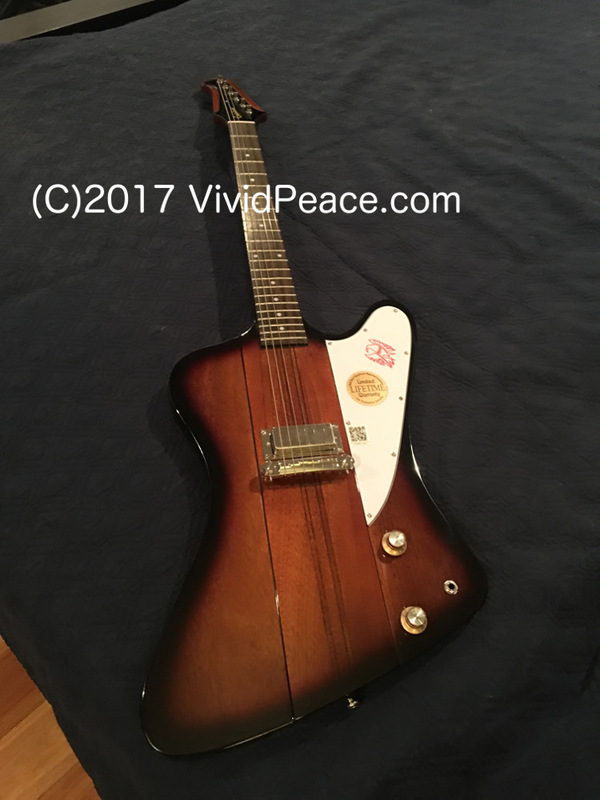 They do have the nicer and better-sounding Gibson Firebird Zero! I found it super-easy to change out my sound with my Gibson M2. 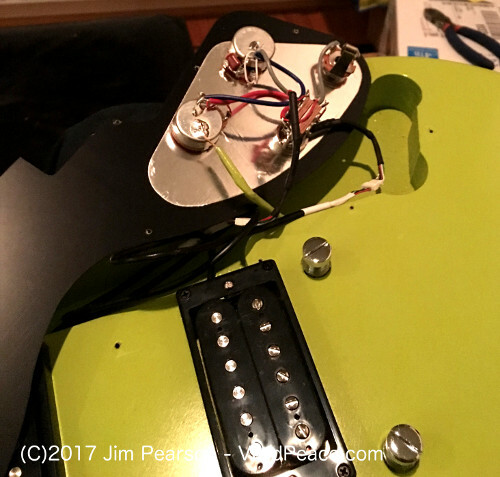 The on-pickguard electronics and top-routed cavities make it very easy to switch things out and easy to even put in a battery if you’d like to go active. Everything about the Gibson M2 from the non-electronic parts is wonderful and well worth the price alone. 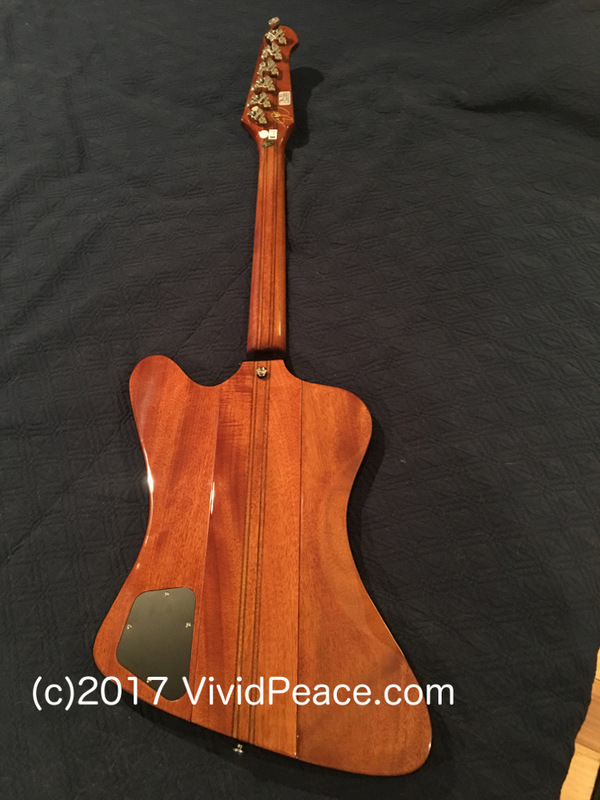 The woods, the fit and finish, and the overall features of the body and hardware are really great, even at the low entry price. The electronics are average to excellent for the price range. 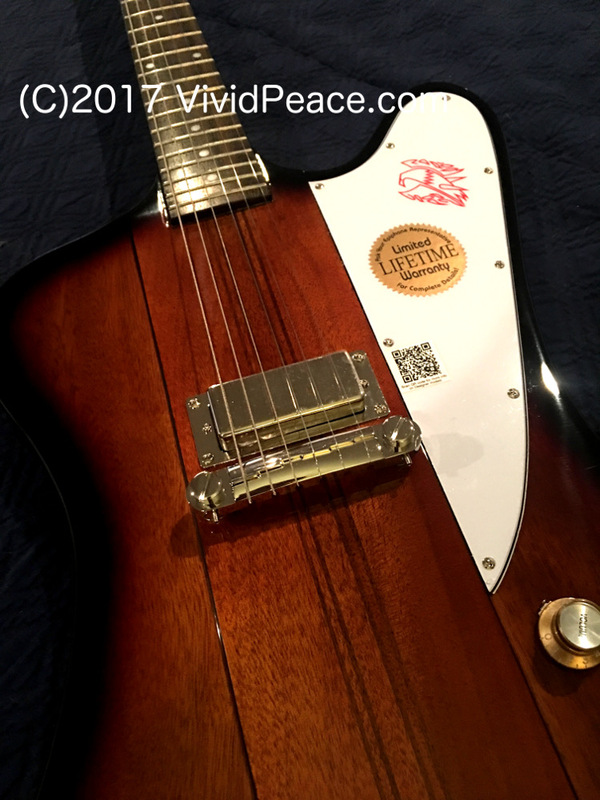 In fact, the overall makeup of the electronics is as good or better than $900 (street price) guitars made in Asia. 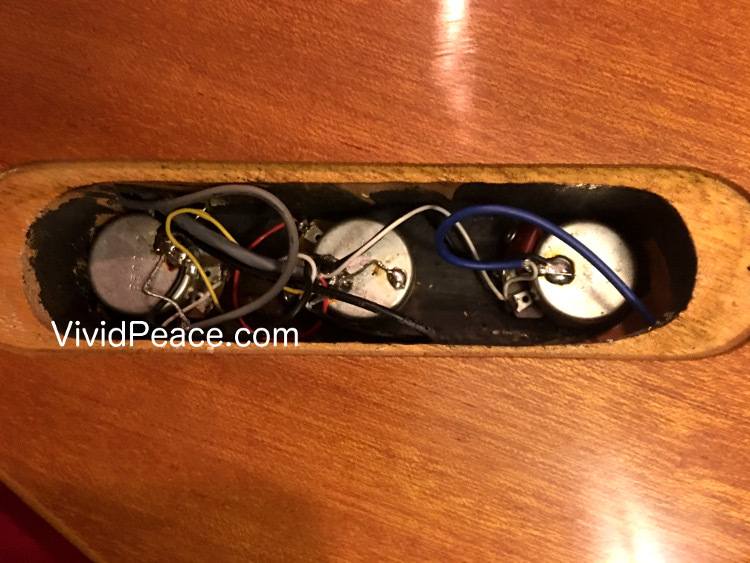 The pickups, pots, jack, capacitor, and wires look almost like those included in Epiphone instruments. The switch is the very nice and extremely sturdy leaf-contact three-way toggle that looks a lot like Switchcraft’s switch and is extremely similar to those found in nice Epiphones. In replacing or modding this guitar, the switch is a keeper. In addition, the jack is pretty good, although a real Switchcraft 1/4” jack is a safer bet if you are going to actively play the guitar – particularly standing up and moving around. 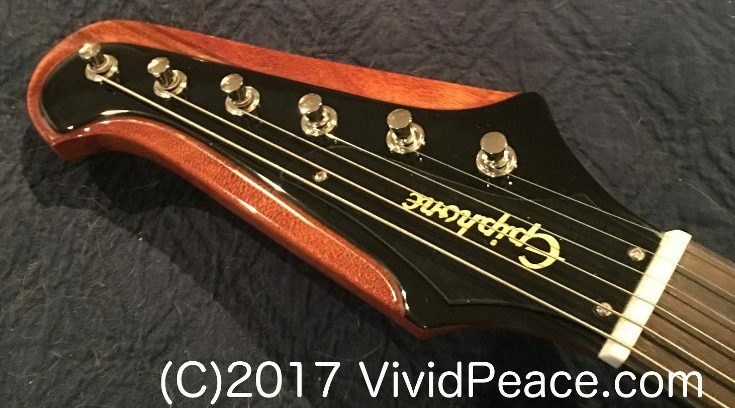 The Amazon page lists the pickups as “Gibson ProBuckers.” It is likely they are some type of slightly-different humbuckers (from Epiphone ProBuckers). 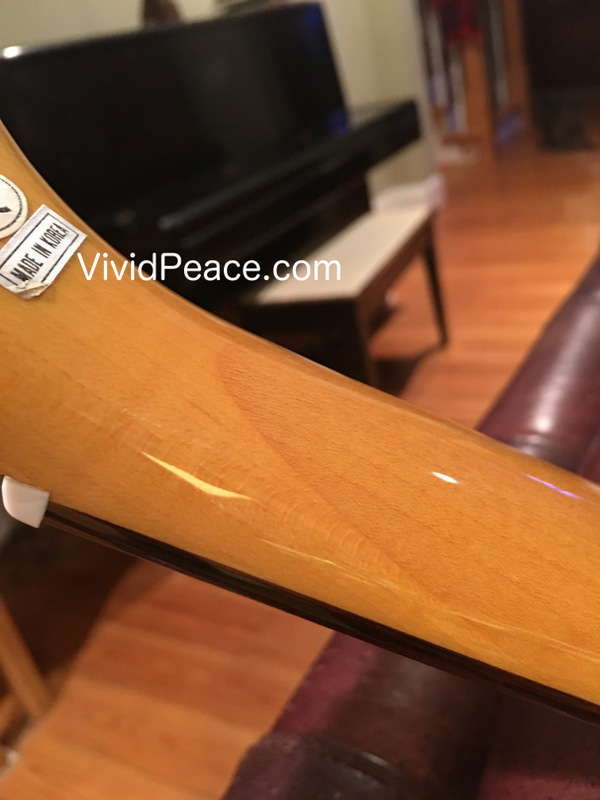 Looking at the pictures in this write-up as compared to pictures on the Internet (of Epiphone ProBuckers), there are key differences in the appearance. 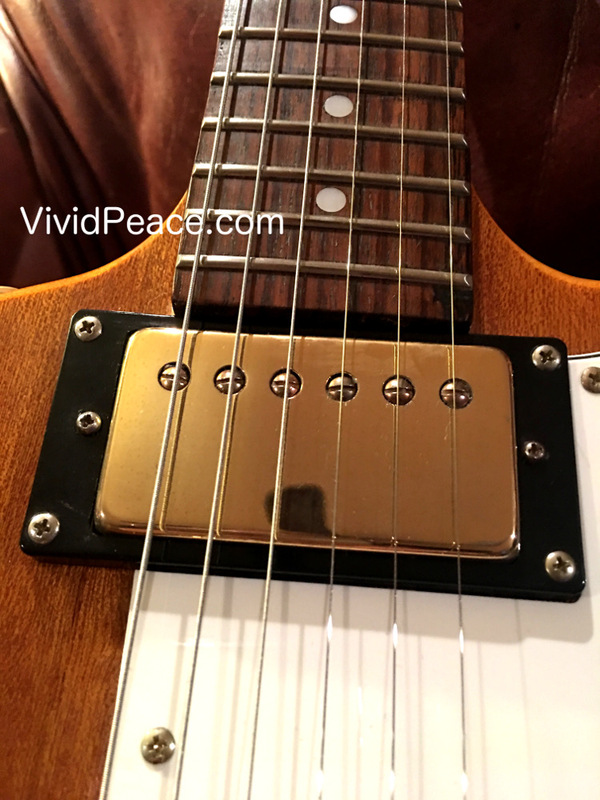 In addition, the weight of the pickups is a little different: the Gibson M2’s pickups feel slightly lighter than my older Epiphone Les Paul’s ProBuckers. 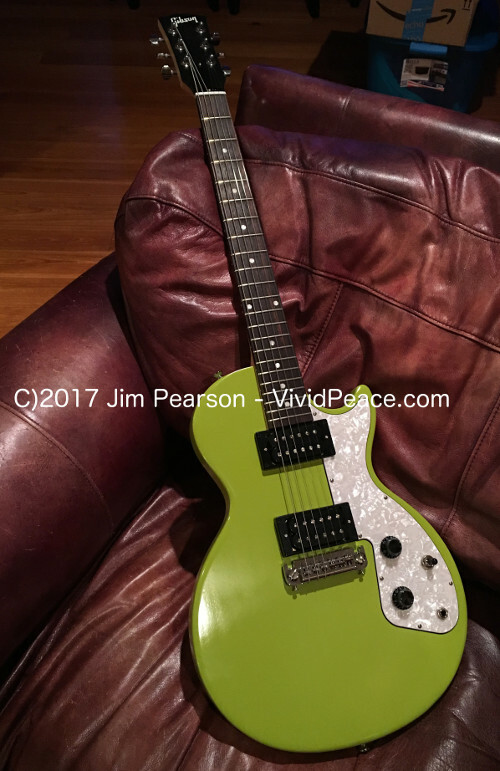 This might be due to something very simple like differences in magnet weight or differences in potting/not potting… Overall, the pickups are great for an entry-level humbucker. It’s a great guitar. 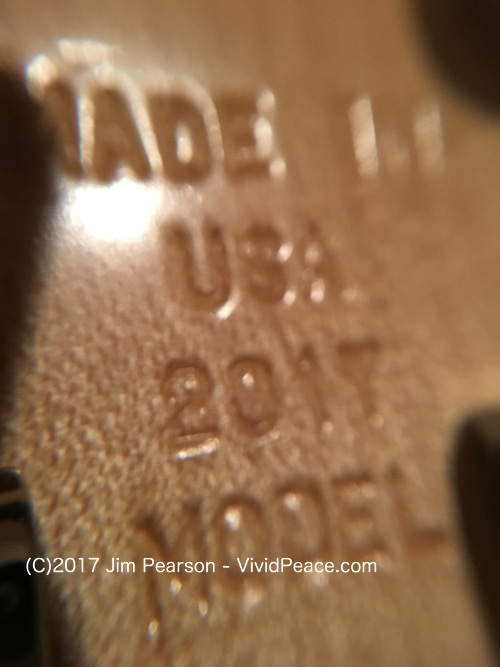 If you’re not a modder like me, it is a SOLID value and a great little lightweight USA-made guitar that has a street value of about twice the actual purchase price. 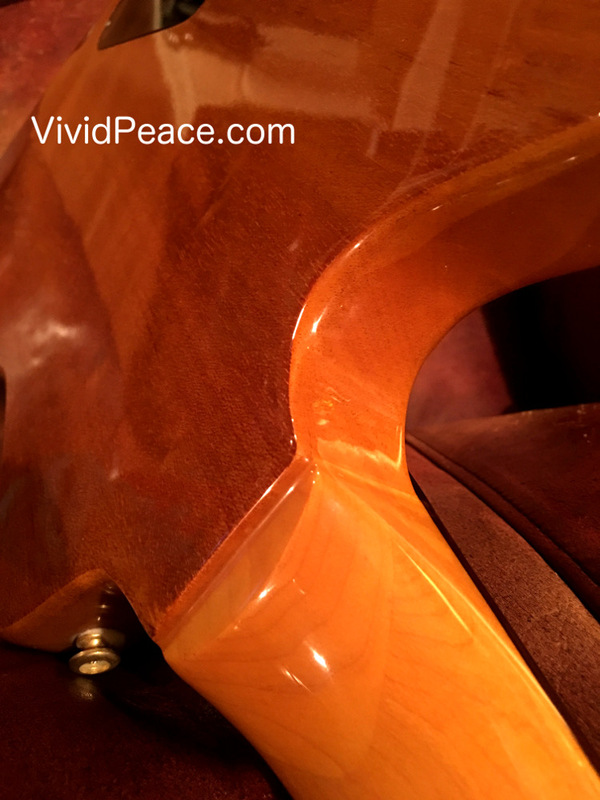 What’s under the covers with the new Gibson M2? 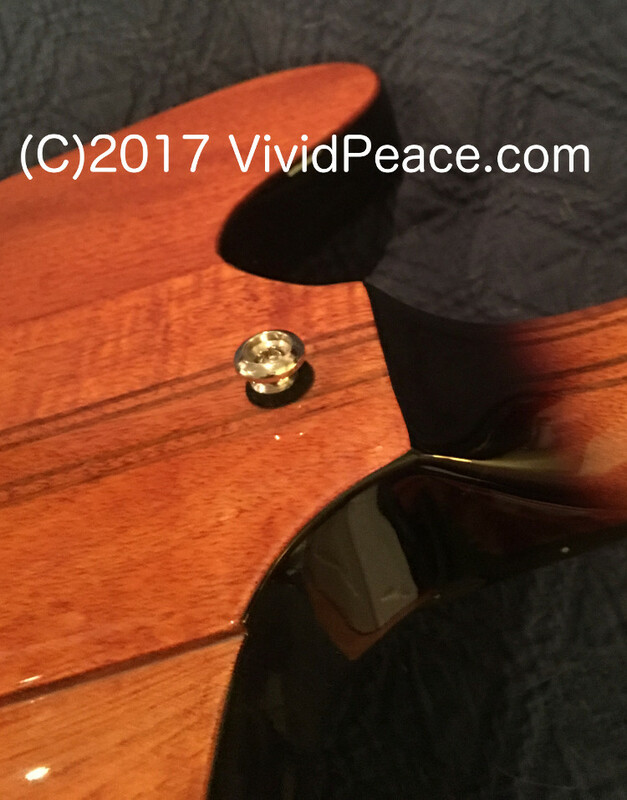 When one takes the time to closely examine the non-electronic parts of the guitar, the materials, workmanship, and the assembly are excellent. 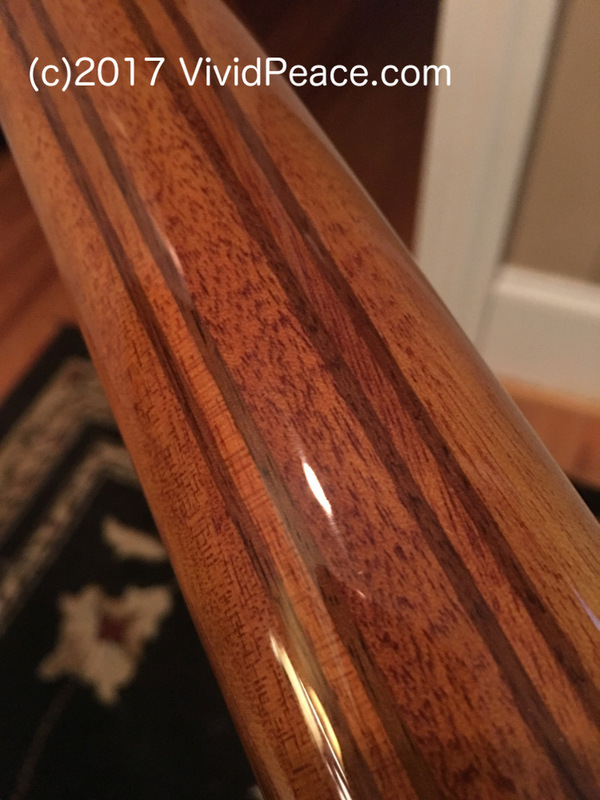 The low-gloss finish is smoother and more comfortable than a matte or satin finish. 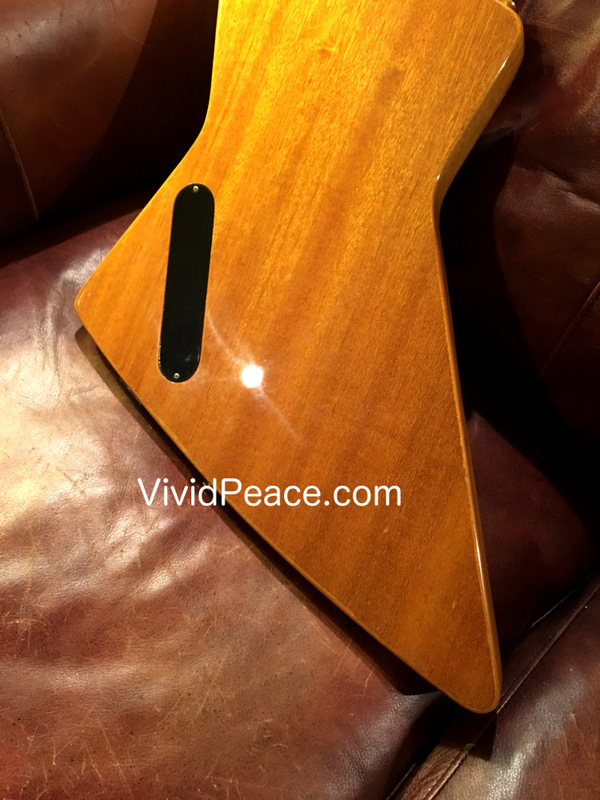 The neck finish is nice, and the shape is good for a variety of hands, particularly the hands of beginning guitarists. The routing is clean and very well executed. 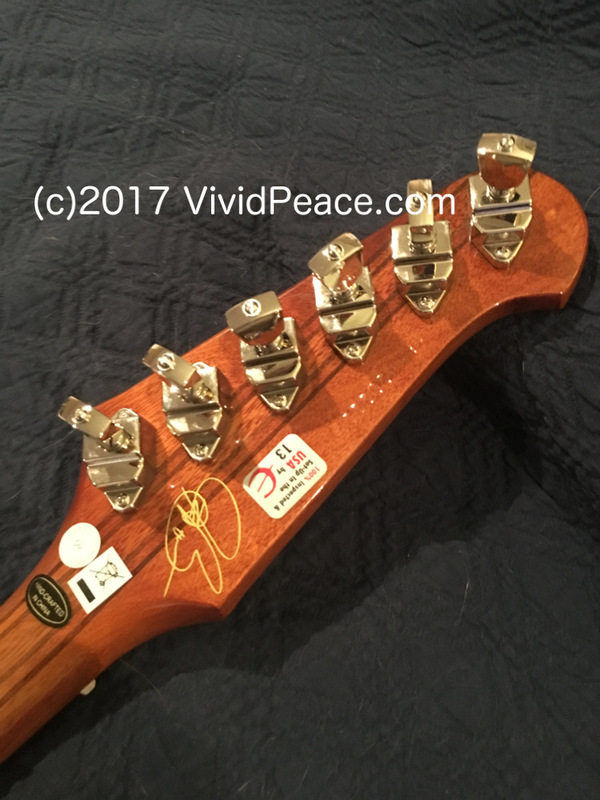 The tuners are new to anything I’ve seen with Gibson or Epiphone: they’re sealed tuners that have mount/stability pegs on them to go into holes on the back side of the headstock to keep them from turning. 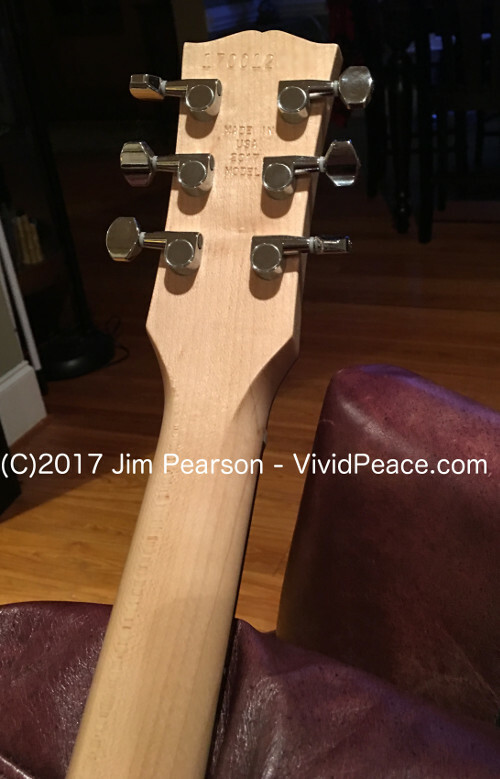 This is similar to the way some Taylor and Fender tuners are mounted on the headstock. 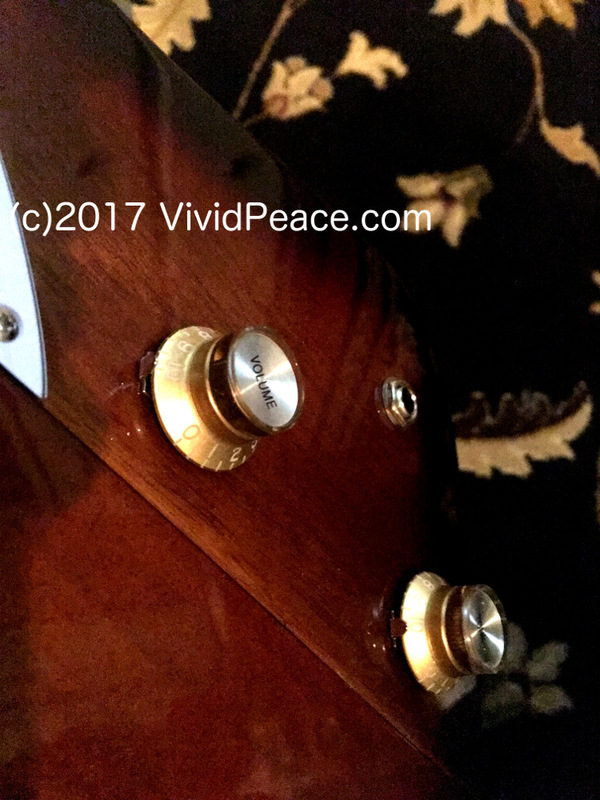 As with the Gibson Firebird Zero, the tuners have a fairly wide ratio of wheel-to-machine-shaft turns. 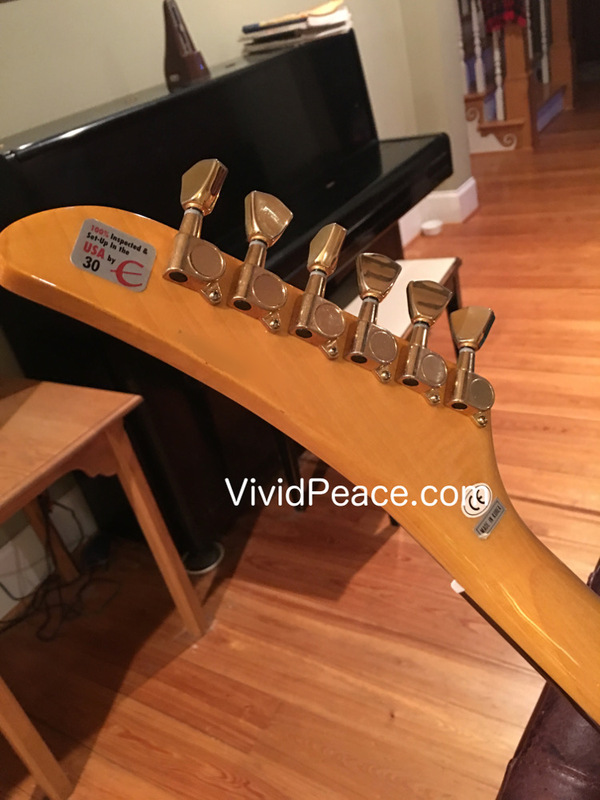 They look the same as those on my Gibson Firebird Zero: but with a catch – the tuners on the Firebird Zero are much smoother and require less effort than those on my M2. It might be a one-off issue, but my M2’s tuners feel a lot less refined and are actually harder to turn than most of the small-button tuners I’ve used. Overall, it gets to tuning pretty well, but just isn’t as fantastic as my Firebird Zero’s tuners. I thought this would be a good place to post pictures of the electronics inside my M2. 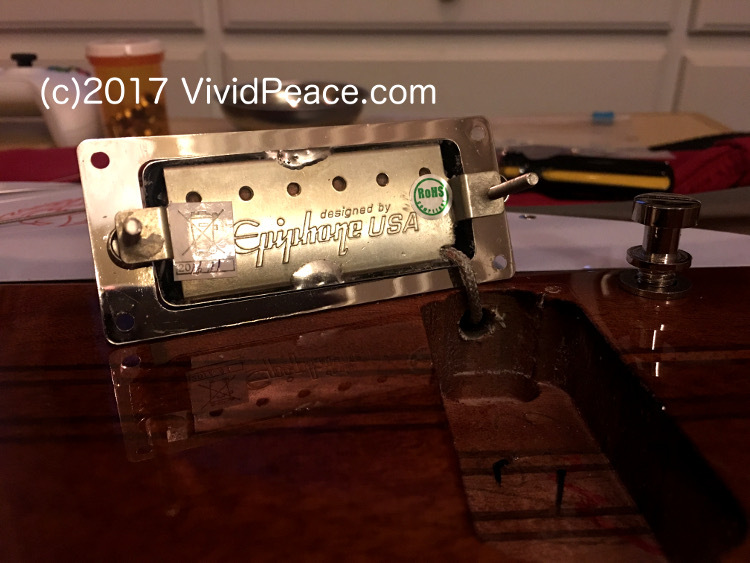 These are un-changed from the factory and are pre-modification: I thought it might be useful to share them with the world so some of the burning questions about pickups and wiring can be put to rest :-). zZounds does not have the Gibson M2. 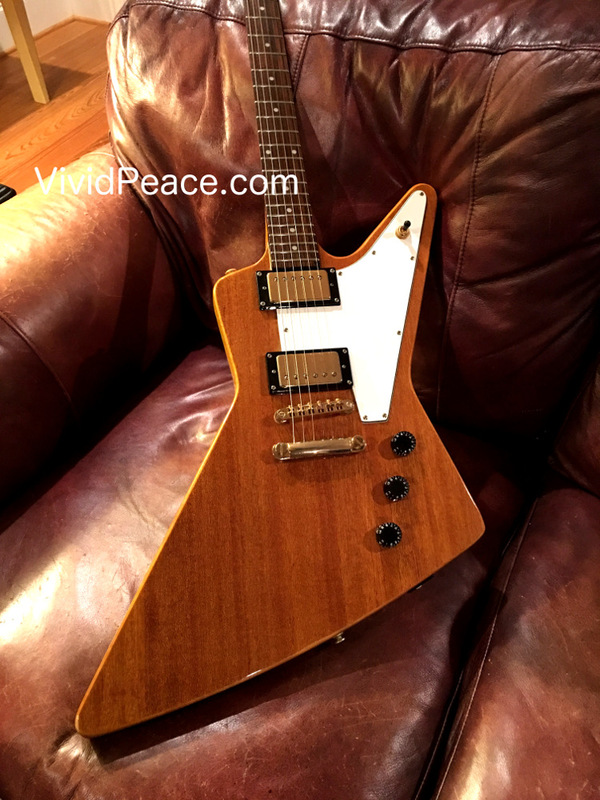 They do have the colorful and sonorous Gibson Firebird Zero! What’s on tap for what I’m going to do to mod mine? I’m leaving the body, pickguard, and tuners alone on my M2. They’re just fine and nicely done. 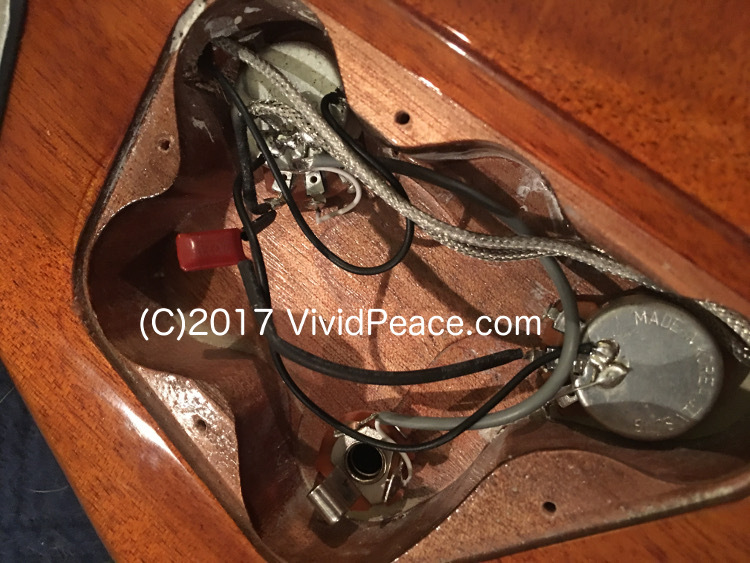 What’s on my agenda to mod the M2 is to switch to either Bournes low-effort pots, a Switchcraft jack, better wires, a nice PIO (paper in oil) capacitor, and some type of pickup upgrade. 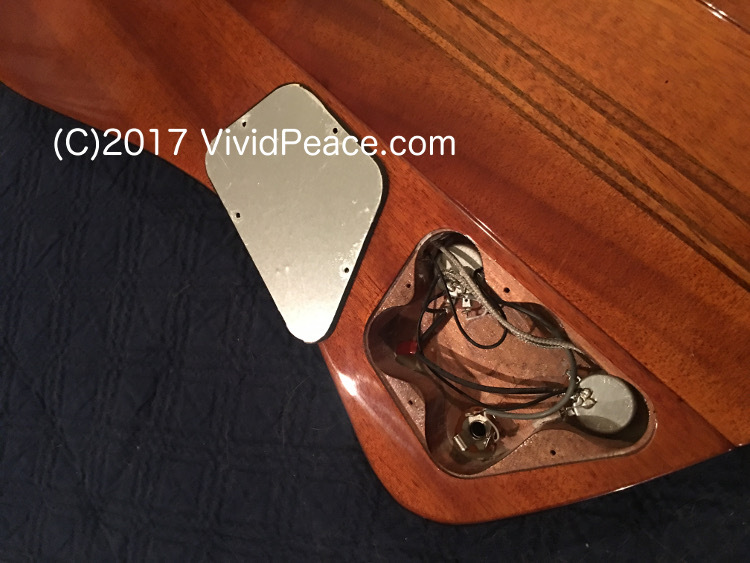 I’ll be using the existing switch and pickup trim rings/springs. I’m still debating which pickup work to do. 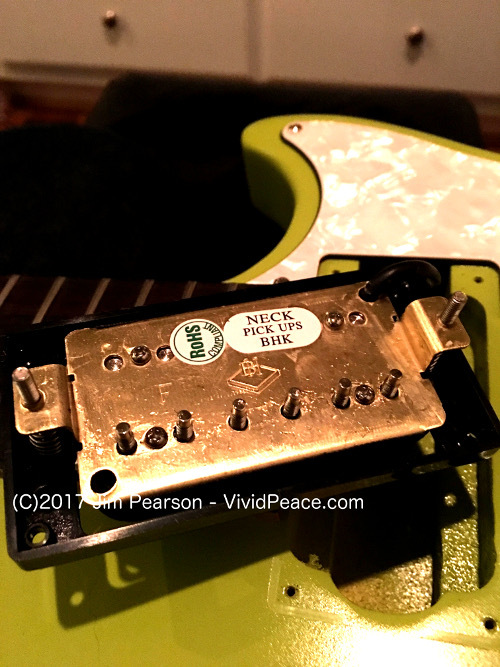 I have a killer pair of matched Seymour Duncan Blackouts (series 1, gold covers), and I have a really nice non-matched pair of Seymour Duncan pickups in which I’ve switched the magnets to Alnico 3 (neck) and Alnico 4 (bridge). 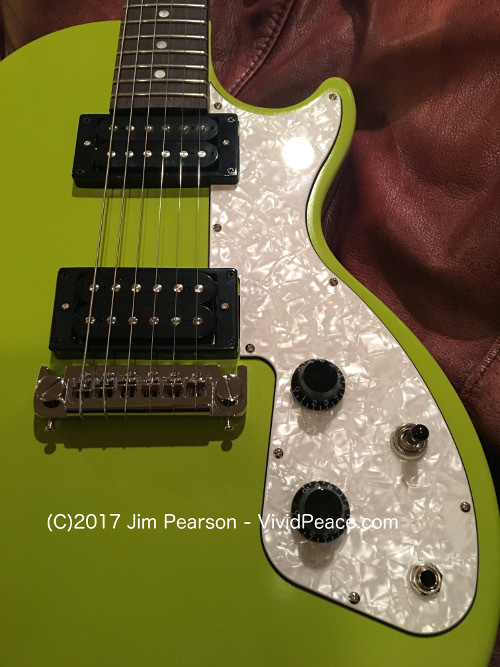 A third choice might be a pair of odd-fellow DiMarzio humbucker from my parts drawers that have nice output and can be nicely split with some Bournes push-pull DPDT pots I’ve picked up. If I go with the Seymour Duncan Blackouts, I’ll be using the factory pots, jack, and wiring plus a nice PIO capacitor. With my one-off Seymour passives or the DiMarzios, I’ll be using some of the really nicely matched and assembled pots and jack from my goodies box. 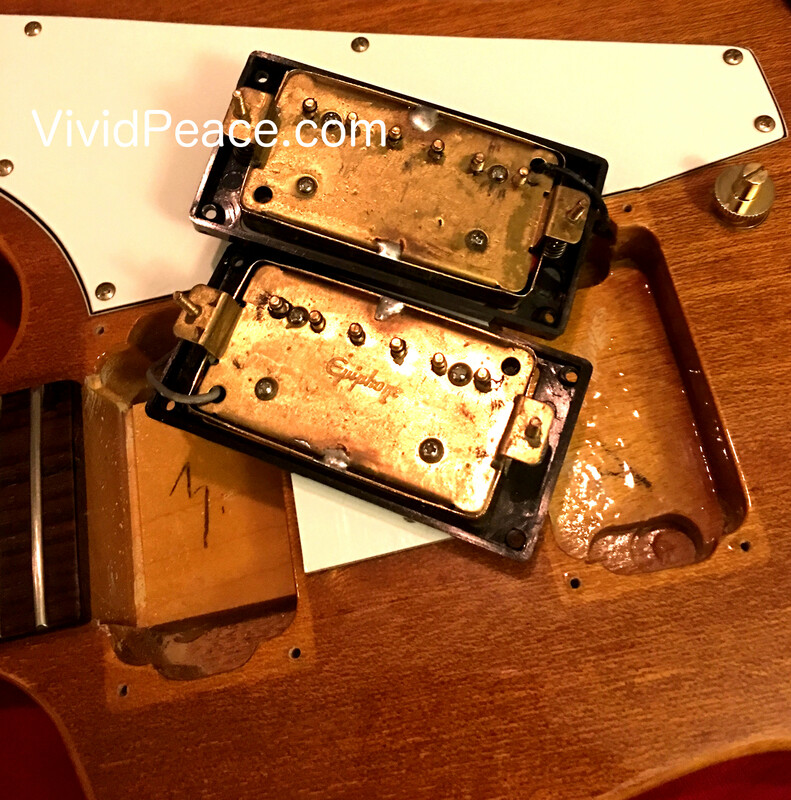 Since the DiMarzios are four conductor pickups, I’ll split them for sure, one pickup per knob. If I can get time to write a post-modification review, I’ll post it here with pics! 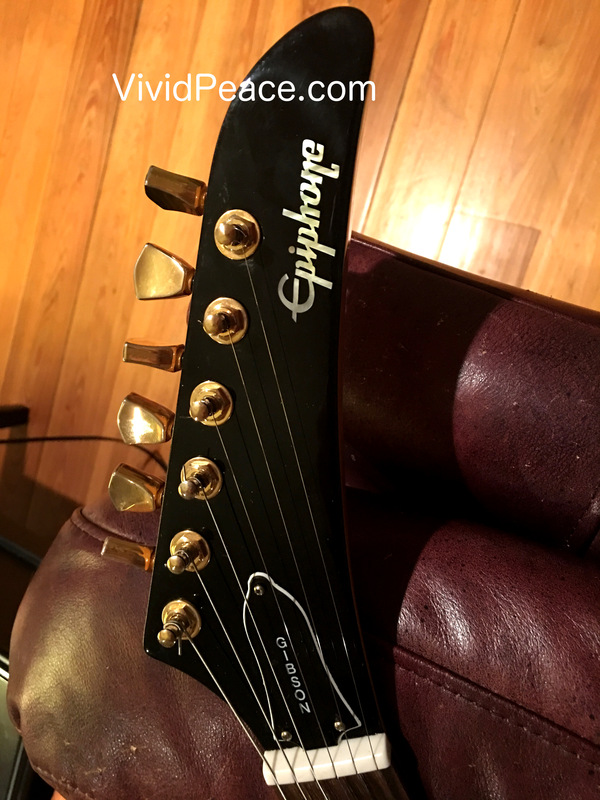 Why Mod my Gibson M2? I wanted the M2 for a couple of reasons. 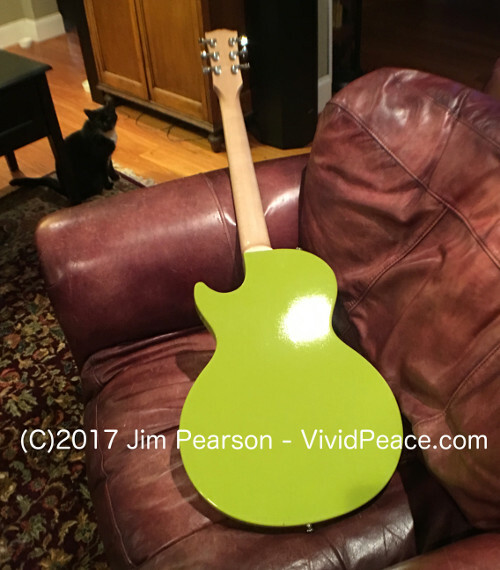 One reason is that I wanted to see what Gibson was doing, how well it was being done, and to see what sonic possibilities there might be found with a very low-cost instrument. The other (strong) reason I wanted an M2 was to use it as an easy-change recording mule: nice bright body; lightweight; and a snap to change out the pickups and wiring. If I were a beginner, or if I were recommending a guitar to one of my students, I would recommend the M2 based on its merits, not on its mod-ability: it’s a great guitar on its own. 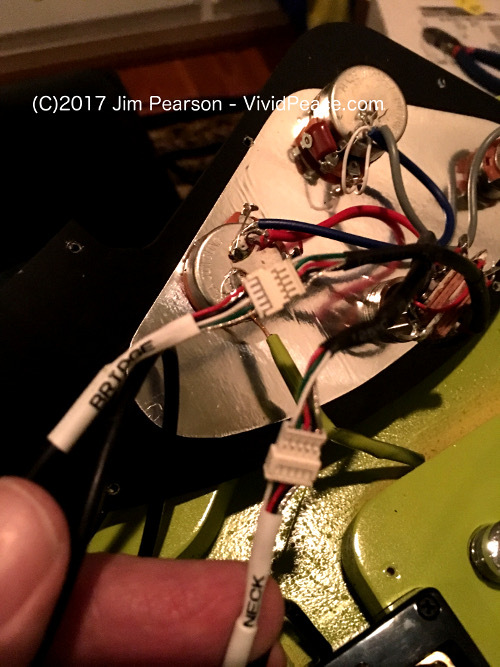 Note that I’m saving the original wiring of my M2, because it uses the connectors found in the Gibson Quick-connect system. 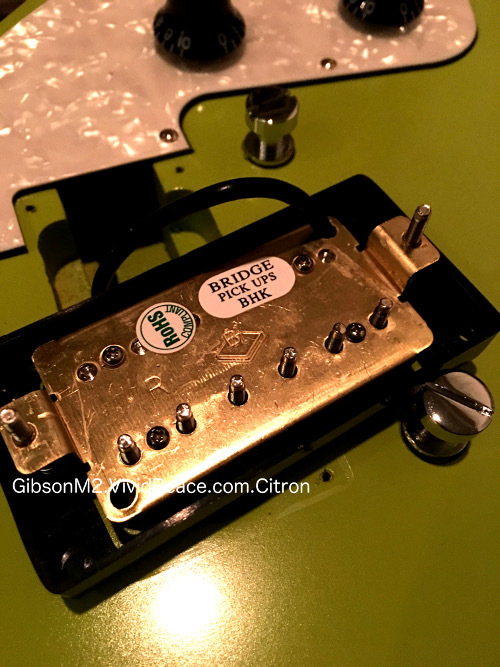 I have several sets of different Gibson (and Seymour and Dimarzio) pickups with Gibson Quickconnect connectors on them, so I might reverse the mods and just use QC-capable pickups in my mule. zZounds does not have the Gibson M2. 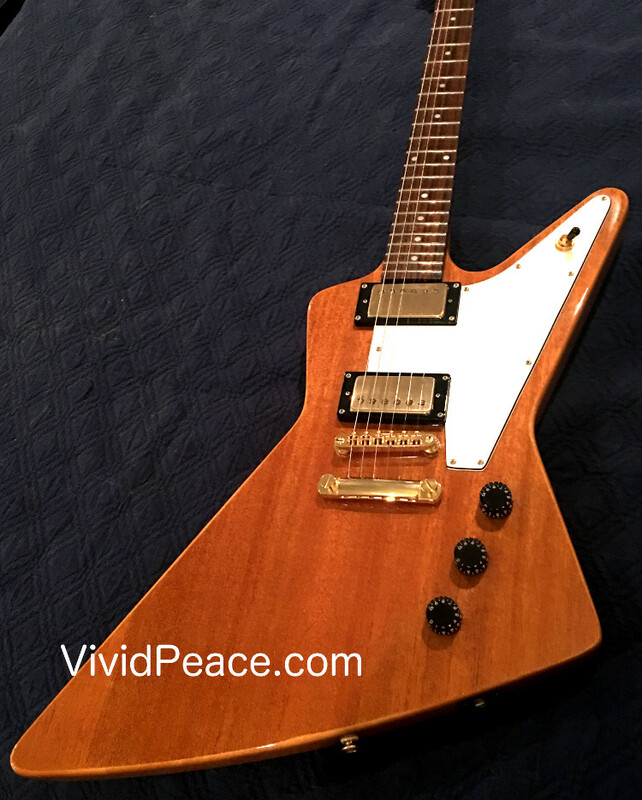 Here’s the Firebird Zero: they back what they sell and the people are the nicest in the business! Stay tuned. I’ll finish my mods and post pictures and a short review as soon as work and life permits.